As you intergrate your facility towards a fully HD environment, you will wish to keep much of your still-functional, legacy equipment active. Coverter tools will permit you to move toward state-of-the-art production while keeping your analog components in the system. 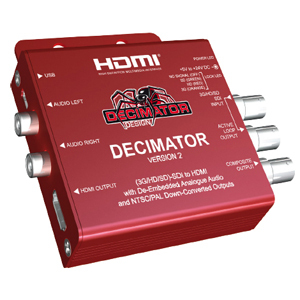 The Decimator 2 auto detects 3G, HD or SD (26 formats are supported) and can handle switching of synchronous sources. Low latency 3G/HD to SD Down-conversion with ARC (Aspect Ratio Conversion) of 16:9 to 16:9 Anamorphic, 16:9 to 4:3 Letterbox or 16:9 to 4:3 Center Cut (crop to 4:3). Also features SD Pass-through and full 10-bit data path and multipoint interpolation. Mounting plate, HDMI cable, and USB cable are included. Measures 3" x 2.8" x .9". The Datavideo DAC-50 is an HD/SD-SDI to Component/Composite Video Signal Converter with the ability to scale both up and down. The scaler converts HD/SD-SDI signals to either HD component or SD composite in PAL mode (576/50i). The DAC-50 is housed in a rugged metal frame, making it durable enough to endure even the roughest conditions. 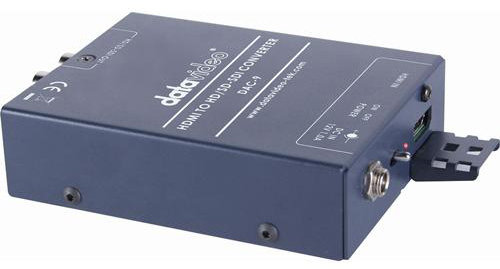 The DAC-7 Analog to SDI Converter from Datavideo converts component, composite, and S-video input signals to SD-SDI video output. Supported audio inputs include balanced XLR and unbalanced RCA. This unit also supports RS-232 connectivity for control. Its unique design allows it to be mounted between the camera and your tripod to facilitate use and management. The DAC-9 HDMI to SDI Converter from Datavideo allows you to convert an incoming HDMI signal to an SDI output signal. This enables signals from DV or HDV cameras to be used with SDI switchers. This unit supports standard- and high-definition signals. Self-adhesive straps on the back of the converter make it easy to attach to a tripod leg. A power adapter is included. 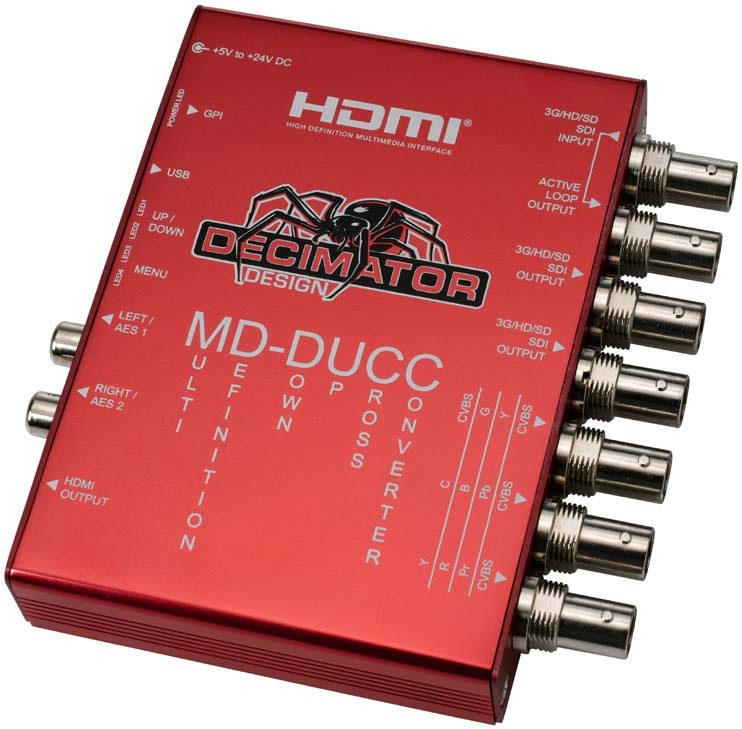 Use this converter to translate an HDMI input signal into an SDI output signal.